In case you are wondering, I’m still sick. It’s day 16 of this virus and I am ready to be well again. While I’ve been gradually getting better, last night my throat pain flared back up and I was afraid I was headed for a major relapse. This morning I am tired, but not in nearly as much pain, so I hope that means I’ll be healthy soon. Considering how much sitting and lying around I’ve been doing, it’s nice to think that inactivity can count as a form of action. If waiting to get better counts as patience, then I’m an action hero. As I’ve said, patience with myself is not my strong suit, but I’m getting lots and lots and lots of practice. For now, I’m heading back to bed. 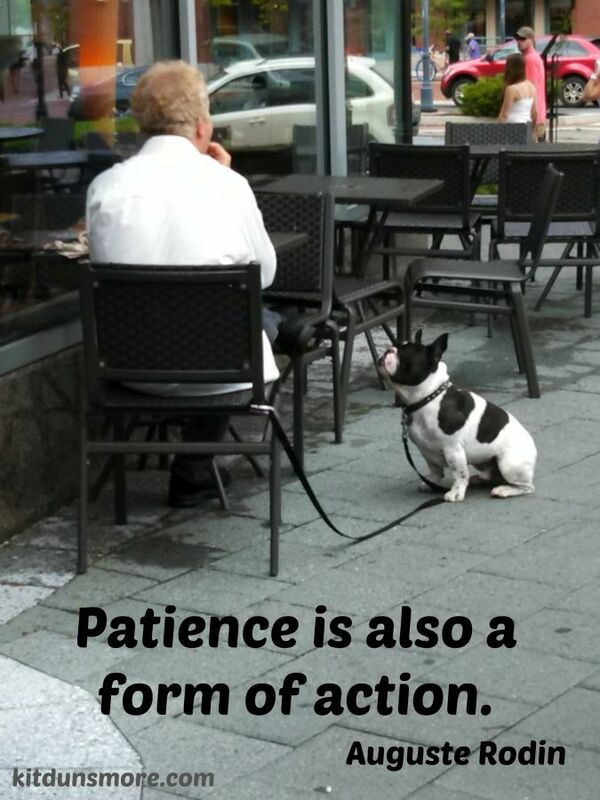 How are you at patience and waiting? Does this quote ring true, or does it sound like a rationalization?